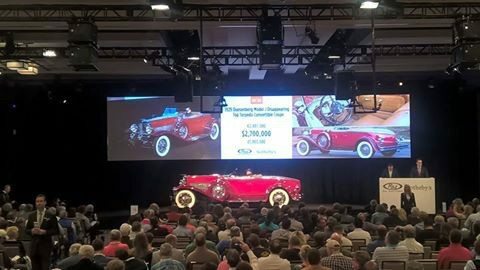 As the results pile in from last week’s Arizona Auction Week, 2 things are apparent – first, as expected, the totals from 2016 are down just a bit, mostly because of the huge Ron Pratte collection sold at Barrett-Jackson artificially bumped the totals in 2015, and second, the middle of the market – especially later-model exotics, stock and low-mileage muscle cars, and interesting cars from the 80’s remain strong. Heacock Classic was onsite at all the auctions, and the market mood seems solid but unspectacular. 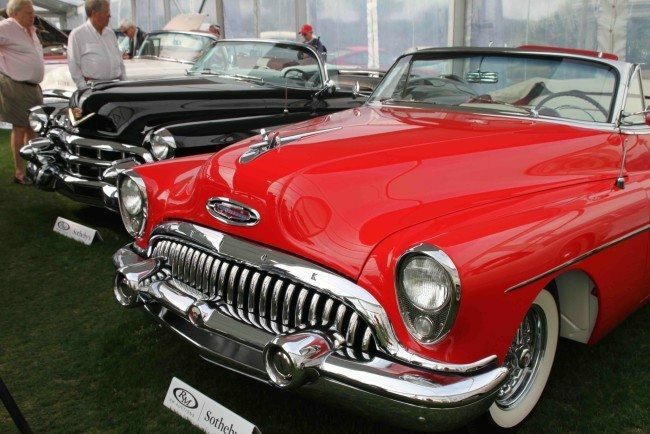 Barrett-Jackson – $103 million in closed deals, with an amazing 99% sales rate and an average price of $69K. Top sale was the 2015 Weissach Spyder at $1.76 million, eclipsing the stunning 1939 Mercedes-Benz 540K Cabriolet at $1.485 million. 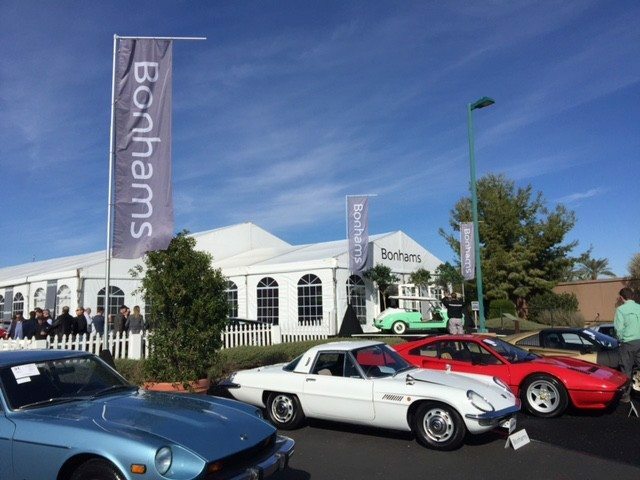 Bonhams – Thursday’s sale achieved $18.2 million in closed sales, with an 85% sell-through and an incredible average of just over $330K. The top sale was an amazing McLaren P1 Coupe at just over $2 million, and the entire top ten sales list from Bonhams is completely made up of European sports cars. 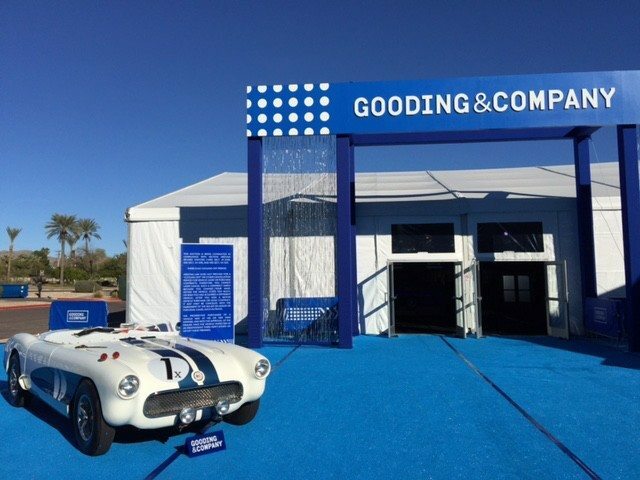 Gooding and Co – $43 million in closed sales and an 86% sell-through rate is hard to be disappointed with, but it’s $8 mill less than 2015’s sale, despite including the amazing 1950 Ferrari 166MM 195S Berlinetta Le Mans at $6.49 million. Other than the 1929 Duesenberg Model J at $2.42 million, all the other top sellers at Gooding were of European origin. RM/Sotheby’s – A solid $62.8 million total is just a half a million less than 2015, lead by the spectacular 1937 Mercedes-Benz 540K Special Roadster at $9.9 million. RM had 3 American cars in their top ten sales – 1929 Duesenberg Model J, ’65 Cobra 427 Competition, and a 1953 Cadillac Series 62 Coupe at $1.43 million. An 89% sell-through with an average of $421K. 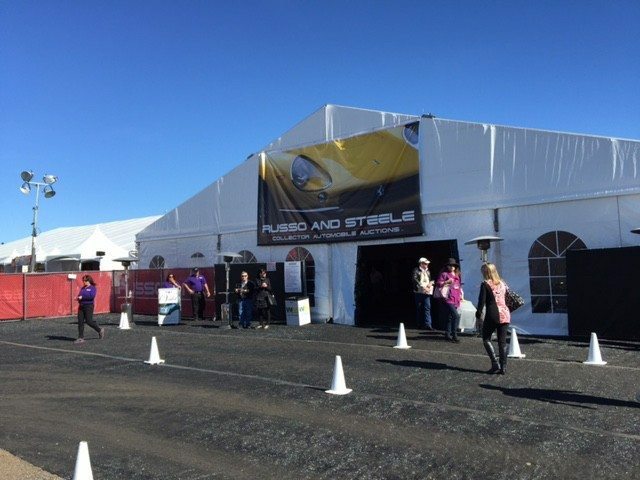 Russo and Steele – A nice uptick in total sales for Russo, with $19.5 million in closed sales for a 56% sales rate and an average just over $47K. Their top 10 list was evenly split between US and Euro cars, with a 2003 Saleen S7 Coupe coming out on top at $387K. Silver Auctions – A good year for Mitch Silver and his crew, with $3.8 million in closed sales and a 55% sales rate. A nice 1958 Mercedes-Benz 190SL was the top seller at $140K, but with 8 of the top 10 spots on their list occupied by American cars, it’s obvious the heart of the market is still strong. So, add it all up, and that’s at least a quarter of a billion dollars in closed transactions last week, but with the average transaction value down 13%. The very top of the market is fine, but the upper middle that has feasted on 911’s and Italian exotics is showing signs of saturation – rapidly rising values the past few years certainly brought a lot of cars to market this year. The good news, American muscle and 50’s and 60’s nostalgia cars held firm and show no signs of slowing down. 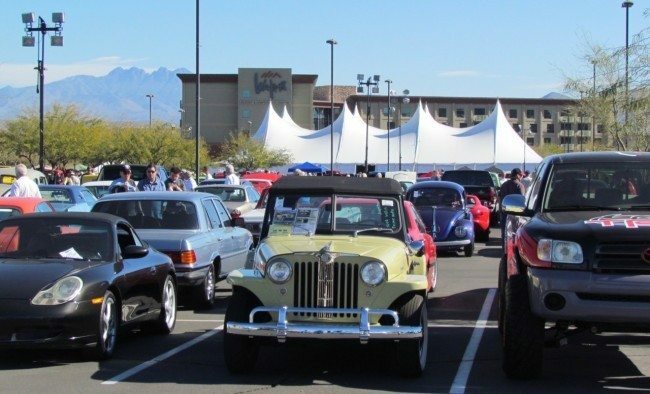 We’ll report on these totals again once they are finalized, but all in all, a solid financial performance in Scottsdale is good news for everyone who loves classic cars. If you have a recent auction purchase or another collectible you’d like to insure with us, let us show you how we are more than just another collector vehicle insurance company. We want to protect your passion! Click below for an online quote, or give us a call at 800.678.5173.